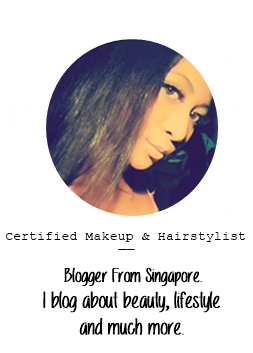 I talk Pretty Things: Expiry Date On Cosmetics? Hello everyone :) I'm back with another post. Few days back I download this beauty app. And I found some useful information that I can share on my blog. Today topic is about expiry date on cosmetic. So lets move on to the topic now :) Keep reading to know more about it. Most of women are using makeup products everyday. But most of them do not aware that the cosmetics have expiry date on makeup products just like dairy products. If you drink spoiled milk, you'll get stomachache and similarly, using expired makeup product will cause skin irritations. Germs are easily spread to makeup products, so if you use expired products, germs will transfer to your skin and possibly cause breakouts. If you are suffering from unknown skin problems, it's necessary to check the expiry dates of your cosmetics. The first step of making clear skin is to follow recommended usage period of cosmetics. How to check expiry date? Unopened cosmetics last about 2 to 3 years. But, once you opened the product, it only lasts for short time. Cosmetic bottles/cases/containers ﻿are labeled with many codes and some of them indicates manufactured or expiry dates. The problem here is that most of people aren't so familiar with this codes. Therefore they easily misread them. This chapter will teach the proper way to read manufactured and expiry dates from containers. Some products have 'Manufactured Date' labeled by the numbers while most of the products show them in batch codes (special codes made by companies to indicate manufactured date). The manufactured date are often labeled like this '20110101', so anyone can understand it. Sometimes, code like "LOT102910" easily misunderstood as manufactured date but it's irrelevant to that therefore it should be ignored. Manufactured date is also indicated as M, MFG, MED or PROD. The numbers come after any of these represent manufactured date. Since we know how to read manufactured date, it makes it possible to calculate expiry date as well. Expiry date vary by product types therefore it should be carefully calculated. Lipstick, Powder, Eye shadow, Sun Block, BB Cream, Foundation, Concealer, Moisturizer, Lotion. Skin toner, Essence, Cream, Mask, Lip Gloss, Mascara, Eye Pencil, Blusher. As soon as you open your product, the expiry date will get shortened. To indicate the expiry date from opened date, most of the products have icons look like this on the containers. This icon can be read as "it is only good until 3 months after from the date that you opened this product." If you ignore this guidance and use it longer, there is a great possibility that you'll get skin irritations and breakouts. It is not an easy job to keep track of the expiry date of your cosmetics. However, putting an effort on this will make your skin much healthier and flawless. Tips. How to keep up with Expiry Date. Write down the opened date on the container. Do not buy too much to stock it. Buy products that are only necessary. Stay tune for my next update. Goodnight everyone. Very useful post! It's important to look at expiry dates every time you buy a product. Greetings from Beauty blog hop! & thank you for reading this post :) I hope it helps you too. I've recently started a beauty/fashion blog and would it if maybe you could check it out and if you get a chance let me know what your think or participate in my poll (in my right hand sidebar). Thanks in advance if you do. I will check it out now and participate in your poll. This is great information dear!! It's a great way to keep myself from buying too much makeup!! This is great to know, it's always something that's overlooked! My pleasure. LOL! I hope this post helps you. Recheck everything now before you get uninvited skin problem! Hahaha. this is one thing i'm terrible at checking! i must take notice, especially because i have sensitive skin! You should check it out before anything bad happen to your skin since you have sensitive skin.